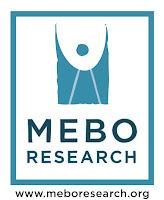 MEBO web conference with NIH ORDR dept team. Thank you for speaking with us earlier today. In follow-up to our conversation, here are links to some of the programs and resources we spoke about. Thank you for the time to talk to us about TMAU yesterday. In terms of drug development for TMAU, given the available knowledge of the TMA metabolism, it seems possible that small molecules could be developed to modulate TMA levels. The attached PDF entitled TMA inhibitor is an example that I found. There may be other labs or companies working in the same area, so this is not intended to be a complete list. Along the same lines, another possible therapeutic strategy that is worth considering would be breaking down or trapping TMA. While gene therapy to the liver is theoretically possible, it seems unlikely at the moment given the serious risks of gene therapy, and since TMAU is not a life threatening disease. An alternative that could be considered is using genetically modified microorganisms in the gut to do the same things. These links discuss some examples of that strategy. As I mentioned yesterday, this information is not an endorsement of any company; just some ideas for you to consider and discuss with your scientific and medical advisors.